It’s night, and the cold wind is blowing like crazy. It’s raining so hard you can hear the rain hitting your roof. Suddenly the sound of rain on the roof changes and sounds like rocks. It’s “just” a hailstorm. Even if it only lasts a few minutes, hailstorms can cause serious damage your roof. Similar to divots left behind by a golf ball impact, when hail hits your roof, it leaves small divots in the shingle. 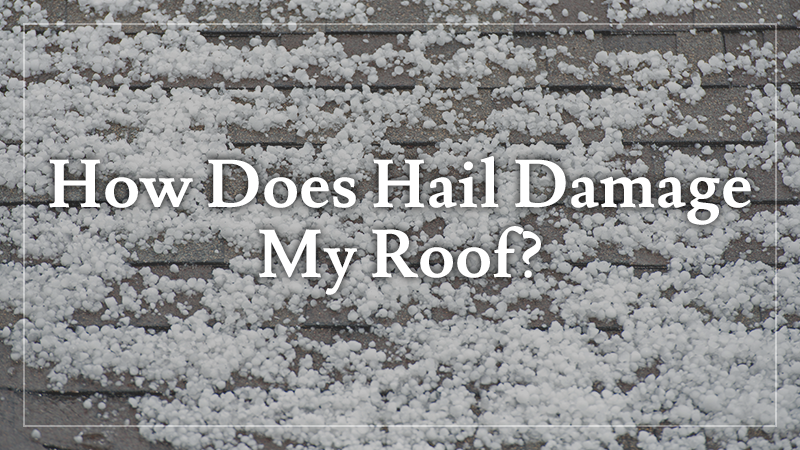 As the hail comes crashing down onto your roof, it knocks away the granules from the impact area and compacts the layers of fiberglass and asphalt into a small crater. While this might not seem like a huge issue, you could end up with thousands of small divots in your roof. They add up quickly, and over time, they will grow. If left untreated, they can create some real headaches for you. What’s the Big Deal with Divots? If your roof is full of a bunch of little holes, you would expect to see some leaks, right? Well, not necessarily. Most hail damage won’t leak, at least not right away, which is why many homeowners simply don’t know they have roof damage from hail. Hail damage greatly increases the natural erosion of your shingles. When it rains, water runs over those divots and causes the shingle to erode at a faster pace because the granule loss has left it vulnerable. Eventually, the water will erode the shingle to the point that it penetrates the bottom layers, and from there it works its way into your home. In some cases, a roof with a 50-year warranty may only last another five to 10 years after sustaining hail damage. How Do I Spot Hail Damage? 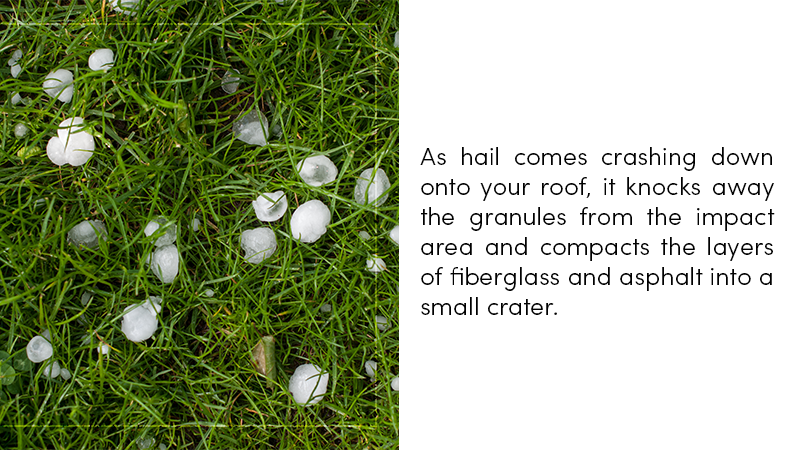 If you find large pieces of hail scattered around your yard after a storm, there’s a good chance you have hail damage on your roof. But even small pieces of hail can create those divots in your shingles. If you’re noticing damage in these other areas of your home, chances are good that your roof took some damage too. Don’t climb up on the roof yourself to check for damage as this is dangerous without the right training and equipment. Call L & L Contractors for your roof inspection. 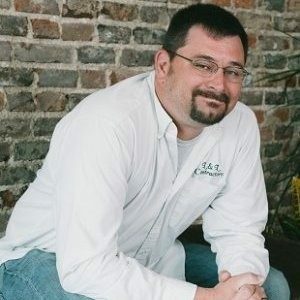 Once you’ve determined that you have hail damage, it’s time to call your insurance agent and a roofing contractor to discuss getting it repaired or replaced. Insurance policies vary, but generally, most home policies will cover hail damage for up to two years. That’s why it’s so important to inspect your roof immediately after the hail storm, rather than waiting until your roof starts leaking to take action. The longer you wait to file a claim, the more likely your insurance is to deny your claim. We cannot stress enough how vital it is that you don’t hesitate to have your roof inspected after a hail storm. We hear all the time from people who are convinced their roofs haven’t been damaged, either because they can’t see the damage themselves or because their roof is brand new and they don’t think it could be damaged. To those people, we have just one question: If you bought a new car yesterday, is it impervious to hail damage today? Although it’s true that a new roof has more protective granules on it, all that does is hide the hail damage better. It’s still there, just harder to see. In these cases, we will inspect the roof for damage immediately after the storm, then re-inspect it as necessary. There is a very good chance that damage will show up after a few months of rain cycles. Any damage that wasn’t visible after the storm will surely show now, and you should still be covered by your insurance. 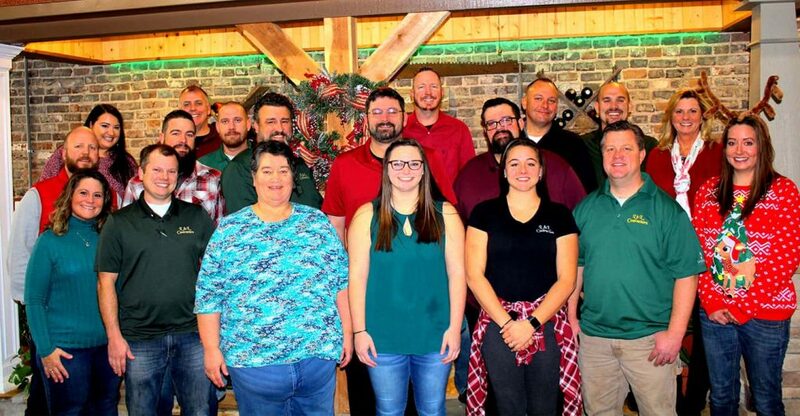 L&L Contractors is middle Tennessee’s premier source of quality roofing and siding repairs and can help make sure your roof will keep your family safe, warm and dry. If you suspect that you have hail damage to your roof, give us a call to schedule a consultation today. Our team will come out to inspect your roof and let you know the extent of any damage. From there we can work with you to determine the best course of action to repair or replace your roof.